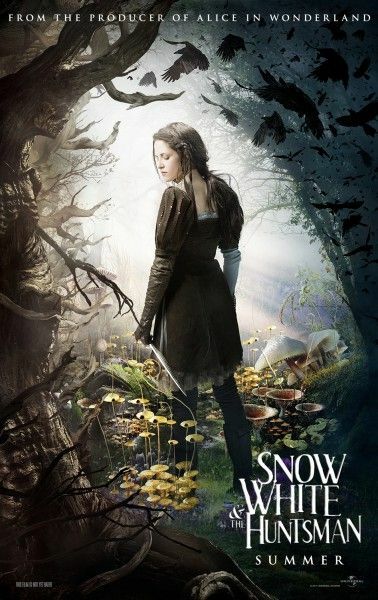 Rupert Sanders’ Snow White and the Huntsman, starring Kristen Stewart, Chris Hemsworth, Nick Frost, Bob Hoskins, Ray Winstone, Toby Jones, Eddie Marsan, Ian McShane, and Charlize Theron opens June 1st. Hit the jump for more. 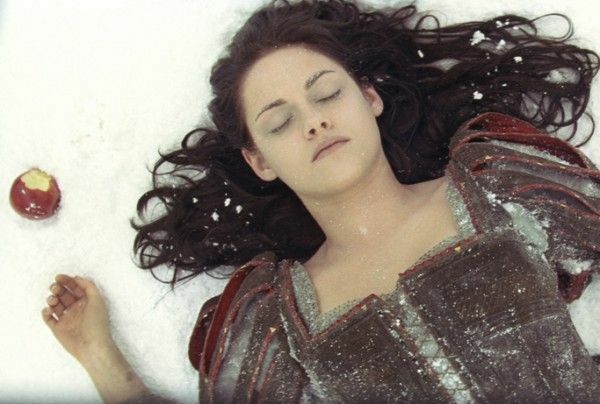 In an exclusively cut sequence for WonderCon, director Rupert Sanders presented us with a five-minute compilation from Snow White and the Huntsman. It began with a cavalry charge, the daring knights of King Magnus’ (Noah Huntley) forces literally smashing through the Queen’s Shadow Army. Next, we see Snow White (Stewart) making a daring escape from the Queen’s dungeons. It’s out of the frying pan and into the Dark Forest for Snow White, who encounters the evil and nightmarish creatures in the woodland’s depths. 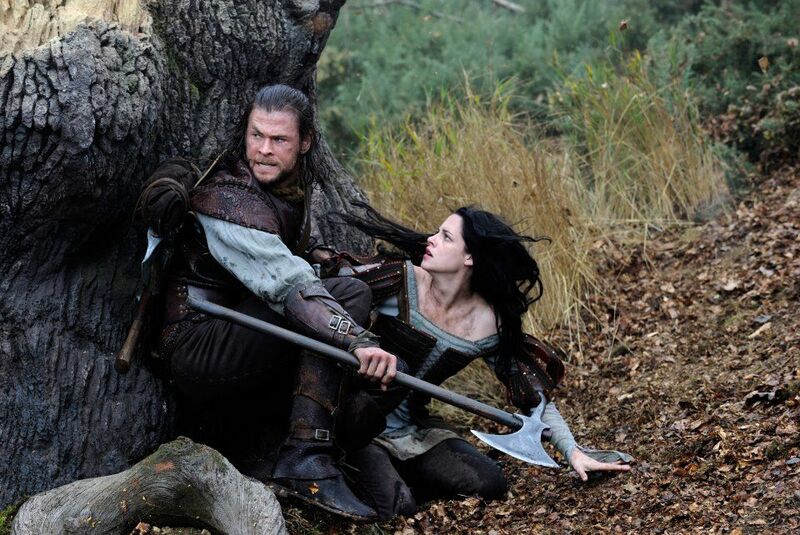 Enter The Huntsman, in a familiar scene in which the Queen demands his assistance in returning the fair Snow White. In a bit of new footage, we’re introduced to the dwarves when they capture The Huntsman and Snow White and string them up. Frost, Hoskins, Winstone, Jones, Marsan, McShane, Brendan Gleeson, and Johnny Harris all look remarkable as digitally-shrunken warriors. In a nice twist of storytelling, they bend their knees in allegiance to Snow White once they learn that she is the daughter of King Magnus. In another bit of new footage, the group leaves the dying wasteland of the Dark Forest for a verdant place of life and color known as the Sanctuary. 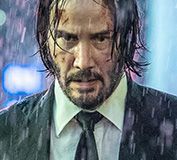 This was a fantastic scene in which the fantasy of the story is allowed to come out and play, lending an overall expert balance to the action, fantasy and character development of, at least, the small section of footage shown. Sanders commented on staying true to the original Grimm Brothers fairy tale in making the film resemble the source material more so than a fantasy story. 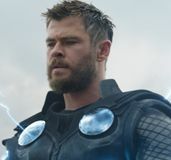 In regards to Hemsworth, Sanders spoke to the actor’s “great intuitive emotional sense [who is] emotionally grounded [and gave a] great performance, not just physically.” Sanders said that most people wouldn’t be expecting to cry upon watching Snow White and the Huntsman, but they might be surprised and find that Hemsworth’s character evokes it. 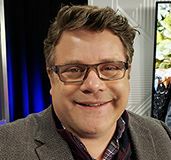 When asked why he didn’t cast little people in the role of the dwarves, Sanders commented that he had always wanted to work with British actors famous for their gangster roles and, although initially he had them in mind for another movie of his, they all happened to be available for Snow White and the Huntsman. 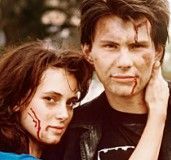 The footage shown at the panel was more than enough to convince me to check this movie out this summer. If you’re a fan of Lord of the Rings, I think you’ll find the aesthetics and the themes to be to your liking. This just so happens to be a tale told with a defiant female protagonist (which I’m sure is a nice change for Stewart) and an equally imposing female villain in Theron’s Queen Ravenna. Follow along with our continuing WonderCon coverage here.